You are invited to visit the Federal Democratic Republic of Ethiopian pavilion on the ITB 2018 in Berlin! The January 2018 edition of the Embassy’s newsletter is available for download. The November 2017 edition of the Embassy’s newsletter is available for download. The October 2017 edition of the Embassy’s newsletter is available for download. 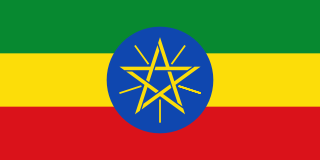 Ethiopia (/ˌiːθiˈoʊpiə/; Amharic: ኢትዮጵያ, ʾĪtyōṗṗyā, About this sound listen), officially known as the Federal Democratic Republic of Ethiopia, is a country located in the Horn of Africa. With over 93,000,000 inhabitants, Ethiopia is the most populous landlocked country in the world, as well as the second-most populated nation on the African continent. 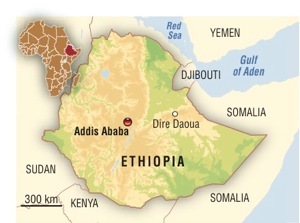 It occupies a total area of 1,100,000 square kilometres (420,000 sq mi), and its capital and largest city is Addis Ababa. It is bordered by Eritrea to the north and northeast, Djibouti and Somalia to the east, Sudan and South Sudan to the west, and Kenya to the south.